This thread will be updated with the newest movie trailers whenever they are released so we can all discuss what's going on regarding new releases. Yesterday, one trailer was released. Plot Summary: Will Shaw (Henry Cavill) goes to Spain for a weeklong sailing vacation with his family but his whole world turns upside down when the family is kidnapped by intelligence agents hell-bent on recovering a mysterious briefcase and Will suddenly finds himself on the run. Two new trailers has been released. 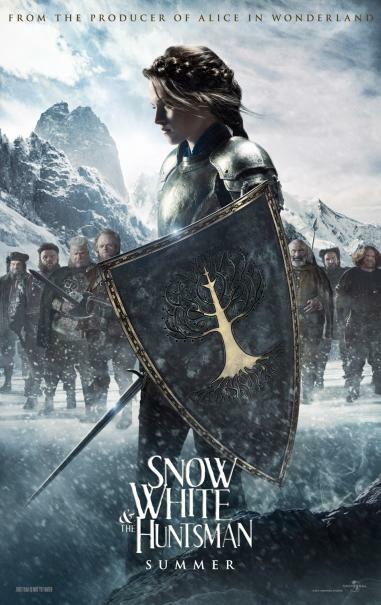 Plot Summary: In the epic action-adventure "Snow White and the Huntsman," Kristen Stewart ("Twilight") plays the only person in the land fairer than the evil queen (Oscar® winner Charlize Theron) who is out to destroy her. But what the wicked ruler never imagined is that the young woman threatening her reign has been training in the art of war with a huntsman (Chris Hemsworth, "Thor") who was dispatched to kill her. Sam Claflin ("Pirates of the Caribbean: On Stranger Tides") joins the cast as the prince long enchanted by Snow White's beauty and power. The breathtaking new vision of the legendary tale is from Joe Roth, the producer of "Alice in Wonderland," producer Sam Mercer ("The Sixth Sense") and acclaimed commercial director and state-of-the-art visualist Rupert Sanders. None of those things look interesting at all! I personally think Dark Shadows looks interesting. Tim Burton is cool. Eh, im kinda sick of his style. He very rarely changes his basic formula, which can be kinda nice, but it just feels bland now. He should also look into the five hundred billion other actors other than Johnny Depp out there. I agree that virtually all of his films looks very alike in style and atmosphere which can get annoying in the long run, but I still look forward to his movies. And yeah, it's amazing how he continues to cast Depp in everything he does... I think i heard that Depp was cast in Sweeney Todd before anyone had even heard him sing. I am so sick of Tim Burton. I think the only things he's actually directed that I really liked were Beetlejuice, Edward Scissorhands, and Big Fish. His style is grossly repetitive and I don't think he can make a movie anymore without casting Depp and Helena Bonham Carter first. It also really annoys me that he seems to get all of the credit for Nightmare Before Christmas, which was actually directed by Henry Selick, who is also responsible for Coraline and James and the Giant Peach, all of which I love. It also really annoys me that he seems to get all of the credit for Nightmare Before Christmas, which was actually directed by Henry Selick, who is also responsible for Coraline and James and the Giant Peach, all of which I love. Oho, I had no idea. Interesting. Eeer, yeah, you can judge it yourselves. 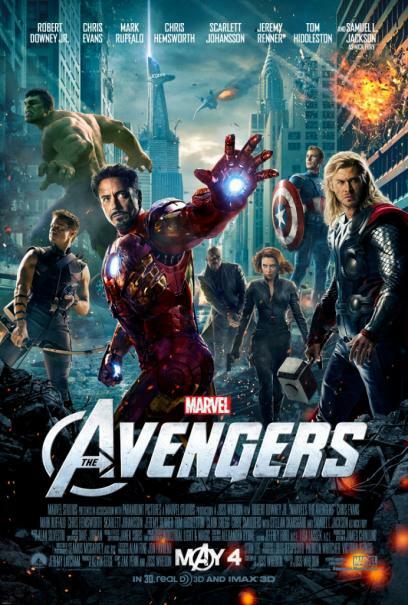 Plot Summary: Continuing the epic big-screen adventures started in "Iron Man," "The Incredible Hulk," "Iron Man 2," "Thor" and "Captain America: The First Avenger," "Marvel's The Avengers" is the superhero team up of a lifetime. When an unexpected enemy emerges that threatens global safety and security, Nick Fury, Director of the international peacekeeping agency known as SHIELD, finds himself in need of a team to pull the world back from the brink of disaster. Spanning the globe, a daring recruitment effort begins. I really dont have an opinion on this movie at all, im just really looking forward to seeing it with my dad. He was such a huge marvel fan, and he loves seeing the stuff he grew up with in live action. COME ON GUYS, no mention of PROMETHEUS??? Also adding youtube embed bbcode tags has jumped to #1 on my to-do list. Plot Summary: A decade after his heroic defeat of the monstrous Kraken, Perseus (Worthington) --the demigod son of Zeus (Neeson)--is attempting to live a quieter life as a village fisherman and the sole parent to his 10-year old son, Helius. Meanwhile, a struggle for supremacy rages between the gods and the Titans. Dangerously weakened by humanity's lack of devotion, the gods are losing control of the imprisoned Titans and their ferocious leader, Kronos, father of the long-ruling brothers Zeus, Hades (Fiennes) and Poseidon (Huston). The triumvirate had overthrown their powerful father long ago, leaving him to rot in the gloomy abyss of Tartarus, a dungeon that lies deep within the cavernous underworld. Perseus cannot ignore his true calling when Hades, along with Zeus' godly son, Ares (Ramirez), switch loyalties and make a deal with Kronos to capture Zeus. 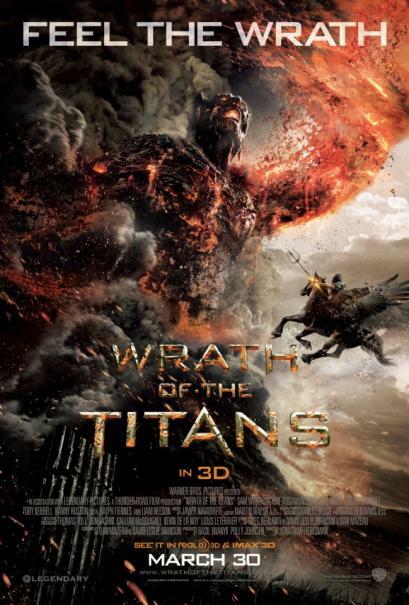 The Titans' strength grows stronger as Zeus' remaining godly powers are siphoned, and hell is unleashed on earth. Enlisting the help of the warrior Queen Andromeda (Pike), Poseidon's demigod son, Argenor (Kebbell), and fallen god Hephaestus (Nighy), Perseus bravely embarks on a treacherous quest into the underworld to rescue Zeus, overthrow the Titans and save mankind. 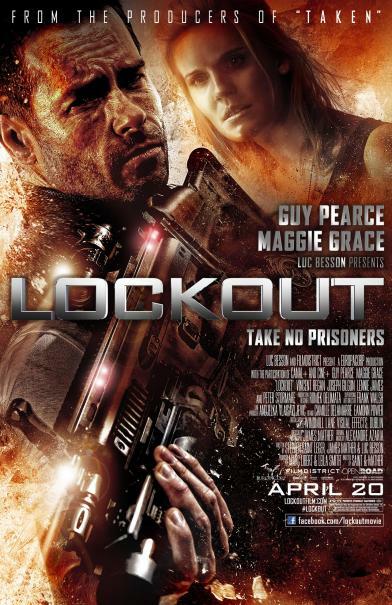 Plot Summary: Starring Guy Pearce and Maggie Grace and set in the near future, "Lockout" follows a falsely convicted ex- government agent (Pearce), whose one chance at obtaining freedom lies in the dangerous mission of rescuing the President’s daughter (Grace) from rioting convicts at an outer space maximum security prison. Really? I thought Clash of the Titans was a failure. I didn't expect a sequel. I didn't like Clash of the Titans. But this trailer for Wrath looks pretty awesome, although they'll probaby disregard a lot of the actual mythology again. They really don't need another one. Whenever I see trailers for those Roman 300 titan gladiator giant army whatever movies my eyes just glaze over. I don't find anything about them interesting in the slightest. Eh, 300 could have been much better. 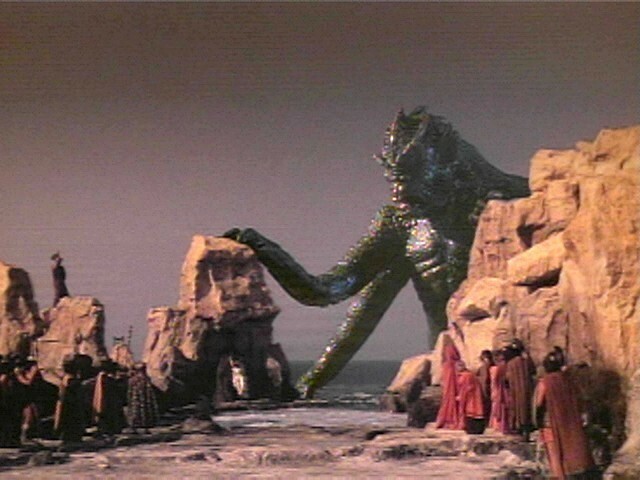 Clash of the Titans takes a lot of liberties with Greek mythology, which is why I didn't really like it. 300 was just pure manliness and I still love it to this day. Ok I don't mind Gladiator, actually I think I liked it (but I haven't seen it for awhile). But I hated 300 and it just feels like there have been a million follow up movies in the same genre since. I didn't know Clash of the Titans was supposed to be good, I haven't seen it. But I think it's more an issue of me not being interested in the genre than them being bad movies. I dont really care that they deviated from greek mythology. I do care that they disgraced one of the best stop-motion movies ever.